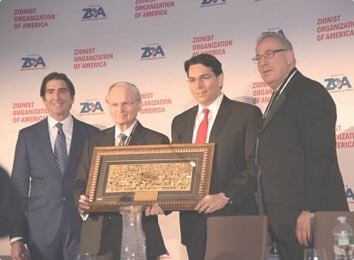 The Zionist Organization of America (ZOA) today strongly criticized the report prepared by attorneys Barbara Jones and Paul Shechtman who were engaged to conduct an independent investigation of allegations of anti-Semitism on the campuses of The City University of New York (CUNY). The investigation was triggered by a February 22, 2016 14-page letter from the ZOA to CUNY Chancellor James B. Milliken and the CUNY Board of Trustees, which described numerous incidents of anti-Semitism on four CUNY campuses and urged CUNY officials to take specific steps to remedy the problem. The attorneys’ report – dated August 29, 2016, but released by the Chancellor just hours before the start of the Jewish Sabbath on September 9, 2016 – not only failed in its mission; it almost surely will encourage more anti-Semitism at CUNY and on campuses around the country. At a rally at CUNY’s Hunter College, organized by the so-called “Students for Justice in Palestine” (SJP), protestors chanted “Jews out of CUNY” and “Death to Jews,” and repeatedly chanted “Long live the intifada!” and “There is only one solution: Intifada revolution!” Calling for an intifada is a call to murder Jews. At CUNY’s Brooklyn College, a student’s mother was harassed by an SJP member simply because she was cleaning offensive anti-Israel chalkings off the sidewalk which were illegally drawn there in the first place. A Jewish student who did not endorse the SJP’s positions was repeatedly harassed by an SJP member who sent her alarming messages, including “I hope you don’t walk alone on campus.” Another Jewish student was threatened by an SJP student simply because she refused an anti-Israel flyer. Members of the Israel Club were called “dirty Jews” and similar expletives. At CUNY’s John Jay College of Criminal Justice, the SJP threatened the Muslim Student Association (MSA) for co-hosting an event with Hillel, even though the event was about the New York Police Department and had nothing to do with Israel or the Middle East conflict. The threats worked; fearful, the MSA dropped its sponsorship. Last year, a student with an Israeli flag patch on his backpack was called a Zionist pig and had a water bottle thrown at his head. At CUNY’s College of Staten Island, a Jewish student carrying a sign to promote harmony on campus was told by another student that “I wouldn’t hug a Jew.” When an anti-Israel student disrupted another student’s class presentation on women in the Israel Defense Forces, shouting that Israeli soldiers were “killers,” the professor did not intervene. Both a Hillel student and the Executive Director of Hillel were bullied and harassed on Facebook. At the University of Oklahoma last year, after members of a fraternity were caught on video chanting the “n” word and referring to lynching, the university president immediately expelled two fraternity leaders, disciplined over 20 other students, and shut down the entire fraternity, even though the entire fraternity had not been involved in the incident, because the hate speech created a hostile learning environment for others. At the University of California, San Diego, after a fraternity held an off-campus party and invited students to dress as stereotypes of African-Americans, the chancellor showed leadership by immediately publicly condemning the fraternity’s actions – even though the offending actions occurred off campus. Then, when a noose was found hanging in the library, the university suspended the student responsible – even though she herself was a minority, she publicly apologized, she explained that the act was a mindless mistake and not racially motivated, and the act was not aimed at individual students or other members of the campus community. Significantly, those remedial actions were not enough for the government. Both the U.S. Departments of Justice and Education initiated an investigation into complaints of racial harassment, which resulted in the university entering into a voluntary agreement to undertake systemic changes. Yet at CUNY, when students call for Jews out of CUNY and death to Jews, when they call for the murder of Jews with chants for an intifada or a terror war against Jews, when they blame Jews for high tuition and other CUNY problems, when they threaten Jews for refusing to support the SJP’s hateful agenda, and when they threaten other students simply for working with Jews on campus, the investigators claim that such speech is protected and not punishable. The conclusion is outrageous. Speech that harasses, threatens and causes fear in students is not protected speech and should be punished. The investigators should have recommended that the SJP be banned from the campus for its responsibility in creating a hostile campus environment for Jewish students, in violation of CUNY rules and the law. 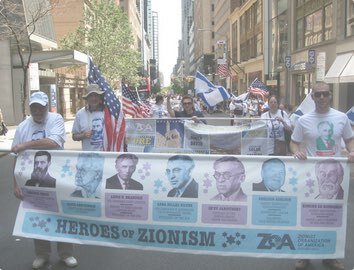 At a minimum, the investigators should have recommended that the SJP be placed on strict, supervised probation (as was the consequence for the SJP at Northeastern University), to include monthly meetings with CUNY officials, and mandatory training and education for the group and its leaders on contemporary forms of anti-Semitism – including when it is expressed as anti-Israelism and anti-Zionism – and its harmful impact on Jewish students and others. In addition, the group should have been required to retain a new faculty advisor at the College of Student Island, whom even the investigators criticized as having spoken thoughtlessly and unwisely. The SJP, like all student groups, requires intelligent and judicious guidance. That there be mandatory training and education about anti-Semitism for all CUNY students, administrators and faculty, so that there would be greater understanding of the breadth of the problem and how anti-Semitism may be expressed. That administrators more forcefully condemn anti-Semitism in all its forms, whenever it occurs, including by specifically describing what the perpetrators said and did, and by naming and condemning the perpetrators. That administrators work harder to identify the violators of CUNY’s rules and punish wrongdoers for their misconduct, so that the CUNY community will finally know that the administration takes anti-Semitism seriously and will do its best to combat it. The investigators simply furnished their “observations” and noted that some anti-Semitic incidents went unreported, with no consideration given as to the possible reasons why. Students are understandably afraid of negative consequences if they speak up. And they believe – with good reason – that reporting will not accomplish anything because CUNY will not pursue the report and hold wrongdoers accountable. When this investigation was instituted, several Jewish faculty members informed the ZOA that they would not come forward to report their problems and concerns about anti-Semitism at CUNY, fearful of the possible consequences of doing so. Students share this concern, but there was no acknowledgment of that fact by the investigators. Also troubling was the investigators’ comparison of the SJP’s anti-normalization policy – i.e., its refusal to have anything to do with Jewish or pro-Israel groups – to Hillel’s policy of not sponsoring speakers or programs that deny Israel’s right to exist, that demonize or delegitimize Israel or hold Israel to a double standard, or that support boycott, divestment and sanctions (BDS) against Israel. The comparison of SJP’s conduct to Hillel’s is absurd and insulting. For understandable and legitimate reasons, Hillel – like every other student group – will not sponsor speakers or programs that contradict its mission. No one has suggested that the SJP should be forced to sponsor speakers or programs that contradict its mission. What is and must be challenged is SJP’s strategy of ostracizing Jewish students and student groups, and threatening students and student groups for dialoguing and working with Jewish students. Ostracizing any student or student group based on their race, religion and ethnicity, among other protected categories, is repulsive, discriminatory, and against CUNY’s principles and values. This is not conduct that Hillel or any other Jewish or pro-Israel campus group would engage in or support. It was unfair and offensive for the investigators to have made this unjustifiable comparison.